Runs on hot air and broken promises. Its three wheels speed through sharp left turns. 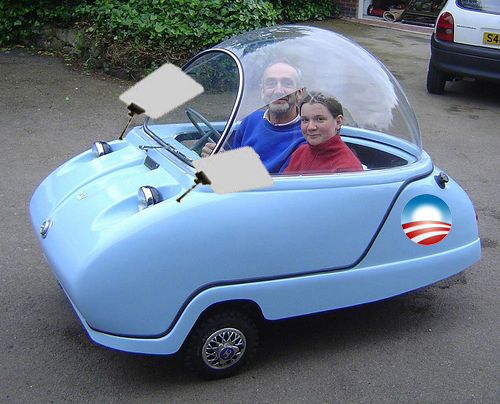 Comes complete with teleprompters programmed to help occupants smooth-talk their way out any violations. It’s change you can believe in!